The holy mountain in Ezekiel 20 is where the restoration of Israel will become manifest. The hill of Golgotha is where Roman soldiers executed an innocent man. One would be hard pressed to identify two hills more different from each other. The example of Jesus Christ, who did not think of himself, is one of, among other things, love, self-sacrifice, service, humility, and forgiveness. The Psalms appointed for this Sunday fit well with the theme of the crucifixion of Jesus except for the animosity present in the speakers’ voices. The example of Jesus is challenging. It commands each one of us to take up his or her cross and follow him. The Bible speaks again and again of God doing new things and provides examples–the main one being the Incarnation and all that flowed from it. The tension between the traditional and the innovative is an old story. One can find both gold and dross among both the old and the new. Yet how can one distinguish between the dross and the gold? That is a difficult question, one worth wrestling with over time. My study of the past tells me that hindsight proves useful. Traditional interpretations of the Bible in the Antebellum U.S. South affirmed chattel slavery. Thus, according to that standard, abolitionists were heretics. Yet the alleged heretics were really the orthodox and the alleged orthodox were really the heretics. The new was superior to the old. Yet hindsight does not exist in the moment. That is a problem. 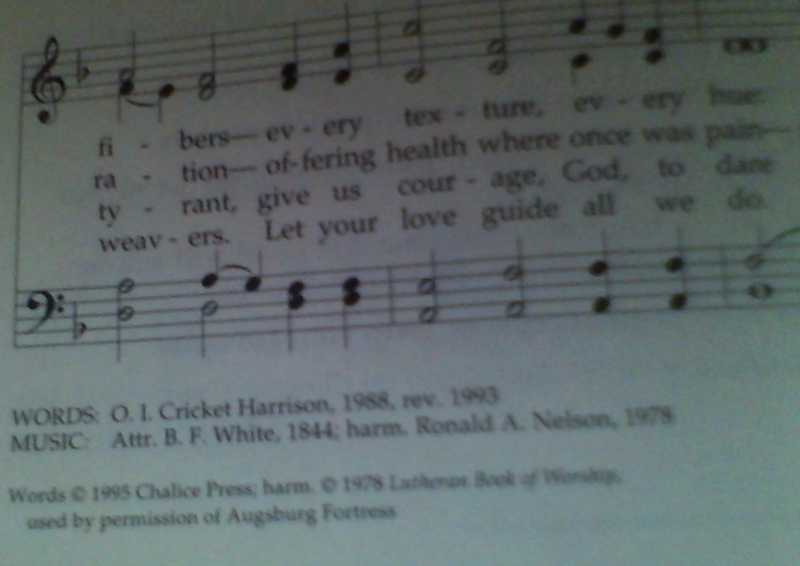 Here is another example: I like hymns with theologically deep words. These hymns might be old or new. Their value does not depend on their age. But “seven-eleven songs”–songs with seven words one sings eleven times–are dross. Thus I despise praise songs and choruses, heaping upon them a great amount of undying contempt for their shallowness. …the new is not always found in opposition to the old but arises from the old as its natural growth and development. Stability and continuity are essential elements of catholic Christianity. Furthermore, some issues are questions purely of taste, with no right or wrong involved. One ought to recall that also. Isaiah 48:12-21 condemns the faithlessness of both Chaldea and Judah yet ends with the promise of the redemption of the latter. verse 18a reads in The Revised English Bible (1989). The commands of God are old sometimes and new on other occasions, from our temporal perspectives. May we, by grace, identify these commands and follow them, separating the new and worthy from the new and faddish and the old and worthy from the old and erroneous. So, with the worthy old and the worthy new, may we rejoice in the Lord.